According to modern geology, our world is over four and a half billion years old, and its geological features have been sculpted over vast eons of time. 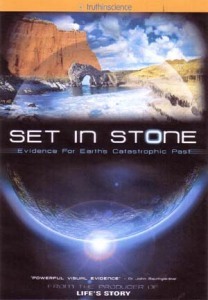 Everyone knows that planet earth is unimaginably ancient. It’s common knowledge that geological forces have acted slowly over millions of years to form the rocks beneath our feet. But what if what everyone ‘knows’ is wrong? Discover how iconic geological sites such as the Giant’s Causeway in Northern Ireland, Siccar Point in Scotland, and the Three Sisters in Australia dramatically demonstrate the reality of Noah’s Flood. 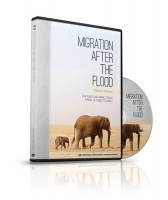 Learn how many people in our world are trying to stop this information reaching you. Once you begin in the right place—with the book—and view the geological evidence from that perspective, it transforms the way you see your world. 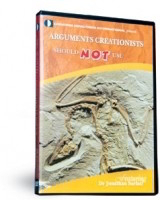 In this candid presentation before an international conference of nearly 600 creationist speakers and writers, Dr Jonathan Sarfati reveals the out-of-date, faulty and downright flaky evidences that reputable creationists must avoid. 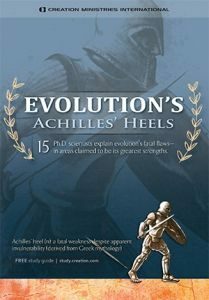 In his trademark style, Dr Sarfati challenges some of the most-loved arguments of modern creationists, while encouraging us to focus intensely on God’s written Word as the absolute guide to evidence interpretations! Succinct explanations and warnings regarding: Archaeopteryx—the transitional bird Darwin’s deathbed recantation The New Zealand plesiosaur Solar neutrinos The archeological claims of the late Ron Wyatt Moon dust NASA’s finding of Joshua’s long day Hezekiah’s sun dial The origination of the 2nd Law of Thermodynamics Micro-evolution Wingless beetles Discover how to avoid or overcome scientific fallacies, outdated arguments and universal statements. Includes extra features, English sub-titles and a 3-minute promotional segment. 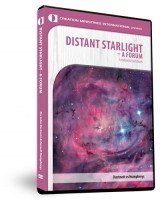 For the first time, two of the world’s leading creationist cosmologists share the same stage and discuss each other’s models that seek to explain how distant starlight, allegedly millions of light years away, could reach the earth within a 6,000 year-old Creation. The answers appeal to understandable, known science that is also revealing that the secular cosmological models of the bigbang is increasingly becoming untenable. It’s an exciting time for creationist cosmology. Lucy. Likely the most famous fossil ‘ape-man’ is presented as an icon of evolution, a fossil that “proves” humans evolved from ape-like creatures. However, Dr John Sanford presents major controversies about Lucy that are rarely taught to students. Learn the facts about this famous fossil in this fascinating presentation. Design engineers such as Dr Stuart Burgess (Professor of Design Engineering at the UK’s Bristol University) are increasingly copying designs from the natural world. Nature contains an abundance of brilliant design solutions. 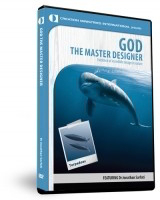 That shouldn’t surprise anyone familiar with the Bible’s teaching that creation has a Designer who is perfect in knowledge (Job 37:16). Audiences worldwide have thrilled to Prof. Burgess’s engaging and powerful presentation demonstrating that creation, not evolution, is responsible for the supremely designed world around us. 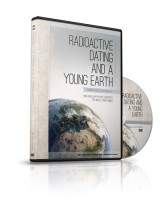 Is radiometric dating really proof that the earth is billions of years old as evolutionists claim? What about the evidence from radioactive decay that the earth is actually only about 6,000 years old—just as the chronologies in the Bible indicate? 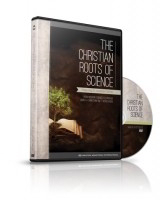 Learn how the Christian worldview provided the assumptions required for comprehending how science worked at all. See also why a straightforward understanding of our world from the biblical context motivated further great advances. Also learn the real truth about Galileo and the myth of flat-earth belief. Dinosaurs have become the Bible skeptics’ ‘poster child’ for the supposed millions of years of evolutionary history. 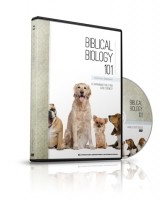 See compelling evidence that shows how scientific facts known about these creatures (when properly interpreted) actually support a plain reading of God’s word.